Easebourne Primary School played a key role in the Cowdray Farm Shop Christmas Tasting Day on Saturday 1st December. 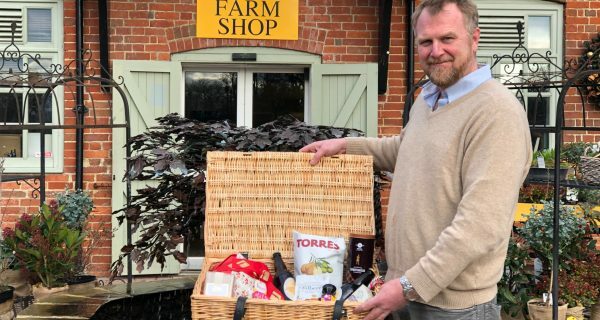 A combination of raffle tickets being sold to win a Cowdray Christmas Produce Hamper, pupils helping shoppers to pack their bags at the tills of the Farm Shop and children from the school selling bunches of mistletoe, raised around £350 for the school. The school children were a great addition to the day with the school choir making everyone feel festive despite the unfortunate weather. 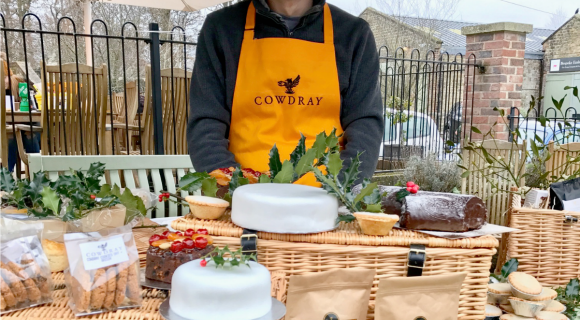 Johnny Culley, Headmaster of Easebourne Primary School, said: “We were delighted to be part of the Cowdray Farm Shop’s Christmas Tasting Day. Not only did the choir enjoy performing but the children were excited to be helping shoppers pack their bags. Visitors to the Christmas Tasting Day enjoyed a complimentary glass of mulled wine as they browsed various food and drink stalls. Suppliers including estate-based Langham Brewery, Munneries, Charlie’s Trout and Pump Street Chocolate offered guests tastings and were available to talk about their products. Rupert Titchmarsh, General Manager of the Cowdray Farm Shop & Café, said: “Despite the weather everyone had a really fun time and it felt like the start of the festive season with carols and mince pies.